This week I am heading into London to speak at Generate Conference on CSS Grid Layout, I've also got an article on the subject in Net Mag. After Generate I fly to New Mexico to keynote the NAGW Conference. I'm pretty much hopping from one conference to another over the next two months. You can see my schedule here and I'm always happy to chat about CSS layout or anything else if you are at any of these. I've had various people ask if I accept submissions for this newsletter - the answer to that is YES! Just hit reply if you have something that you think other readers would find helpful. An update of CSS Grid Layout has been flagged as High Priority in the Edge backlog. I'm so excited to see Grid in all modern browsers! Modernizr helps you to develop a good experience for all of your users by detecting which features are available in the browser of each site visitor. Version 3 has just been launched along with a smart new website. Happy to see people talking about the potential accessibility implications of our new layout methods. We have much power with these tools, but need to take care we don't create new access issues with them. A nice visual description of how flexbox works. Some flexbox rules to live by. "I have found if I keep these five thoughts in mind while using flexbox, I can come up with solutions more efficiently rather than throwing a bunch of properties and values around haphazardly until something works." A short video demonstration the use of the webkit-min-device-pixel-ratio and min-resolution media queries. 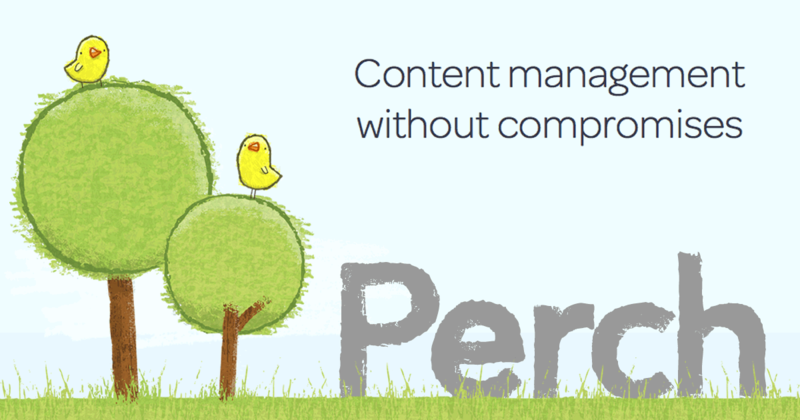 Perch has a template system that is HTML-like, simple to use and gives you full control of your mark-up. Design and develop the way you want to, knowing that Perch has you covered for functionality when it comes to editing the site.